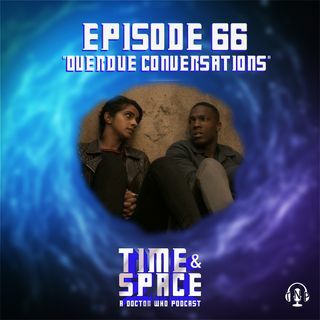 Jessica and Phillip are joined by Bayana and Connie of the TARBIS (Time and Relative Blackness in Space) podcast to examine companions of color. They tackle the Thirteenth Doctor's newest friends - Ryan and Yaz, and what their characters brought to the latest series. They also look at Twelfth's companions - everyone's favorite Bill, and everyone's ... well, also Danny Pink. In their look into the TARDIS library, the couple give an ... See More in-depth look at the Big Finish Production - The Diary of River Song, Series Three, featuring the Fifth Doctor.